Lot 82: Rec Sports has 5 parking stalls available at all times for Nielsen Tennis Stadium users on a first come, first serve basis. The parking stalls are labeled with a Rec Sports sign on each stall and located at the back of the lot, closest to the facility. Rate is $5/2 hours. Pay at the Nielsen Tennis Stadium desk immediately after parking. Parked cars that are not paid at the desk will be ticketed and towed at owner’s expense. * Parking availability may be restricted without notice due to special events such as the WIAA state tournament. Convenient bus lines include the 2, 9, 28, 38, 80, 81, 82, and 84. Get a headstart on your workout by taking a BCycle to Nielsen. Park your bike across the street at the station in front of Ebling Library for the Health Sciences (on Observatory Drive). A full map of all BCycle stations in the Madison area is available online. 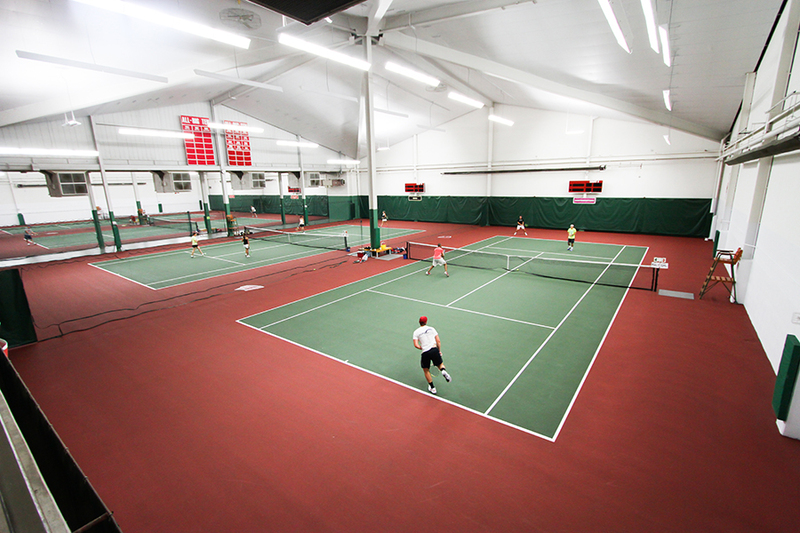 Nielsen Tennis Stadium offers 12 indoor tennis courts for singles and doubles play. 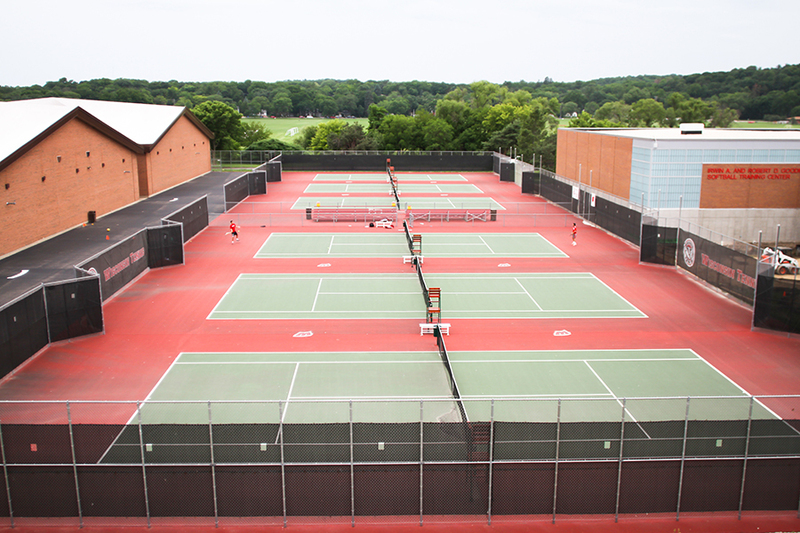 Nielsen Tennis Stadium offers six outdoor tennis courts for singles and doubles play. Nielsen Tennis Stadium offers five singles squash courts and one doubles court.